Home » Pet Tales » Thank you for giving me my best friend back. Thank you for giving me my best friend back. 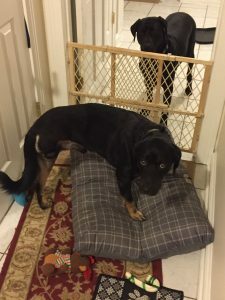 [I am] the owner of Buck who was hit by a car the week before thanksgivings. I just wanted to thank you guys from the bottom of my heart for saving his life, he has made and amazing recovery and is doing great transitioning to three legs. The entire staff there made us feel comfortable during my family’s tough time, everyone from the front desk to the vet techs and surgeons thank you thank you thank you for giving me my best friend back. And his brother Duke is very happy to have him back.